Gothenburg is a lively city on Sweden’s West Coast that has a long and colorful history from the Middle Ages. 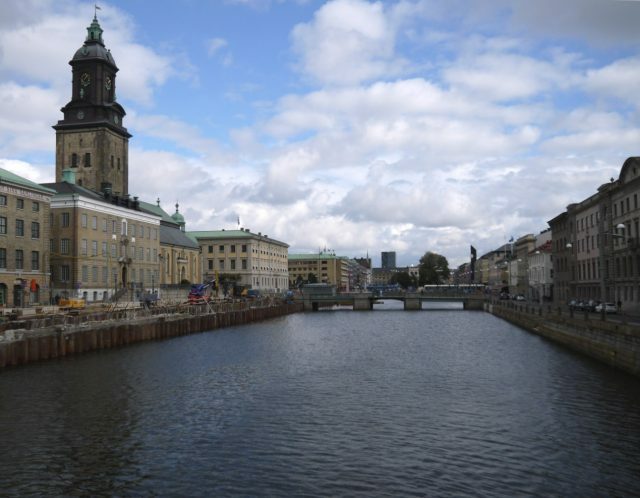 Today, it is one of the major cities of Scandinavia where business and multiple cultures meet. The location of the city on the west coast (the second most popular vacation destination of Swedes) makes Gothenburg a wonderful holiday destination for all travelers. 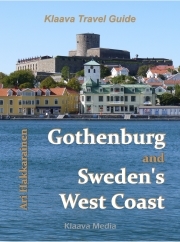 The travel guide Gothenburg and Sweden’s West Coast covers all the essential destinations, sights, attractions, activities and places in the region. Here is an edited extraction from the guidebook: the top 5 places to visit. The old city center of Gothenburg is known as Inom Vallgraven among local people (literally, Inside the Moat). The region is also known as Innerstaden (Inner City). The old town is surrounded by man-made canals. Gothenburg is not far from the North Sea, but the principal source of water for the canals is the Göta river, which flows from the north through the city to the sea. In 1621, Gothenburg was granted city rights. The city center was fortified in order to protect the community from outside attacks. The canals were built, as well as protective walls (that don’t exist anymore). Inom Vallgraven is best explored by foot. It is not a huge area. The maximum dimensions are about 1 kilometer / 0.6 miles and 500 meters / 0.3 miles. Walking along the narrow streets of this lively and busy place (especially during the weekends) is something that both locals and visitors love to do. Haga is a pretty neighborhood in Gothenburg that looks like a place for artists and hipsters, but in fact, ordinary families live in the area. It is located south of the city center. 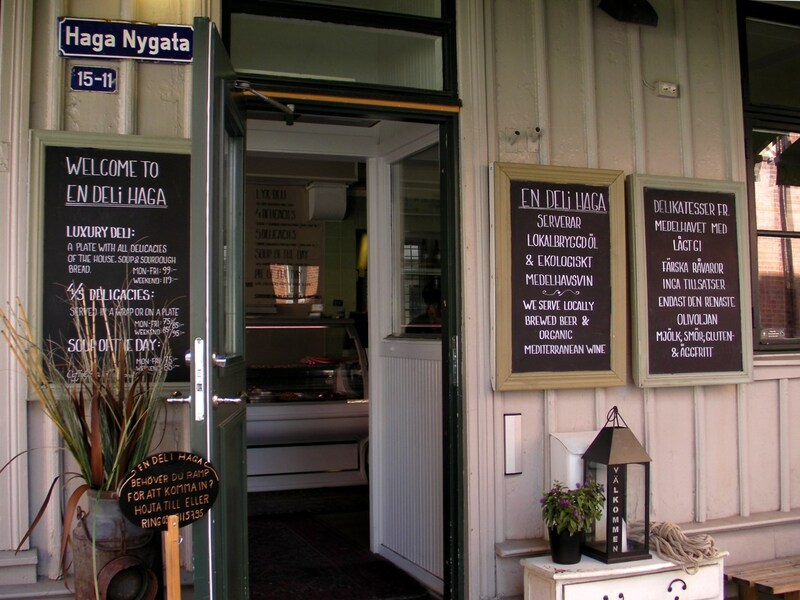 From a tourist perspective, the main street of Haga is Nygatan. A stroll along Nygatan is like walking on the main street of a small town a few hundred years ago. Wooden buildings, streets made of stone, workspaces of craftsmen, bakeries, cafes and small shops create an idyllic atmosphere. In the 17th century, Gothenburg expanded outside the city walls. One of the first suburbs was Haga. It was a neighborhood where the working class (such as people working in the harbor) used to live. Slottsskogen (Castle Forest) is a large green recreation area about 2.5 kilometers / 1.5 miles away from the city center. It is a park, but there is also plenty of forest, a small zoo, a playground for children, a popular picnic destination and a place to see wildlife. Slottsskogen was established in the middle ages, when the land belonged to the Älvsborg castle. The land was used for deer hunting and grazing. In 1874, the county governor opened Slottsskogen to the public. From the beginning, lawns, ponds, and paths through the woods and the zoo were the key elements of the park. The trees and the plants in the park are mostly of local origins, but some additional species have also been planted. For example, Azaleadalen (Azalea Valley) is a beautiful display of different types of azaleas. 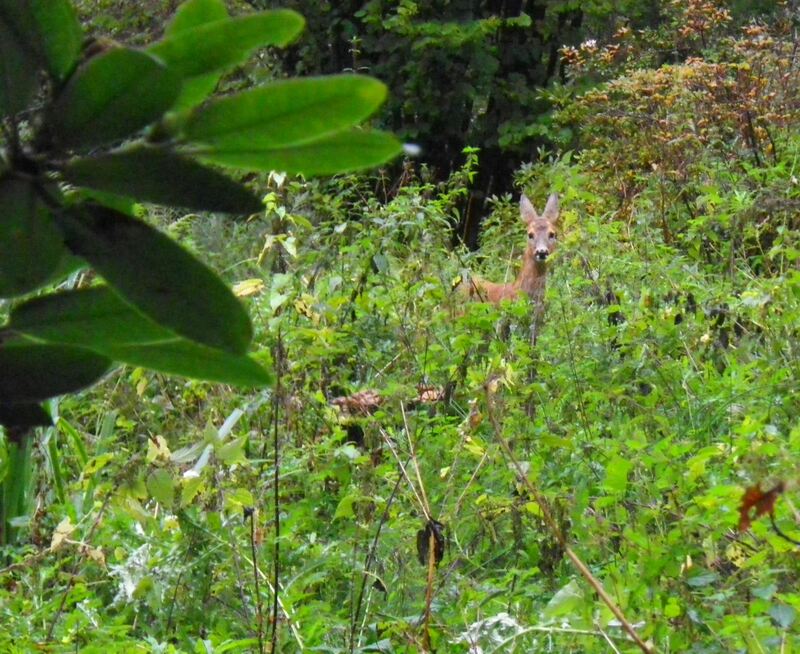 There is a forest of linden, beech, oak and maple trees where it is possible to spot a wild deer or two. It may sound funny, but the park is so large that it is quite easy to get lost in Slottsskogen. There are signs at crossroads, but first time visitors may want to take a map along or use a GPS navigator on the phone just in case. Marstrand is a tidy and lovely village about a 40-minute drive northwest of Gothenburg. Carlstens Fästning (Carlsten’s Fortress) is an ancient fortress that has provided protection for the Swedish fleet and for villagers. The construction of Carlstens fortress began in the mid-17th century. The fortress protected the Swedish fleet that was stationed in Marstrand, and also the village’s busy commercial activities. The fortress has had its current structure since 1860, which means it was under construction for 200 years. In addition to soldiers, prisoners have lived in the fortress. 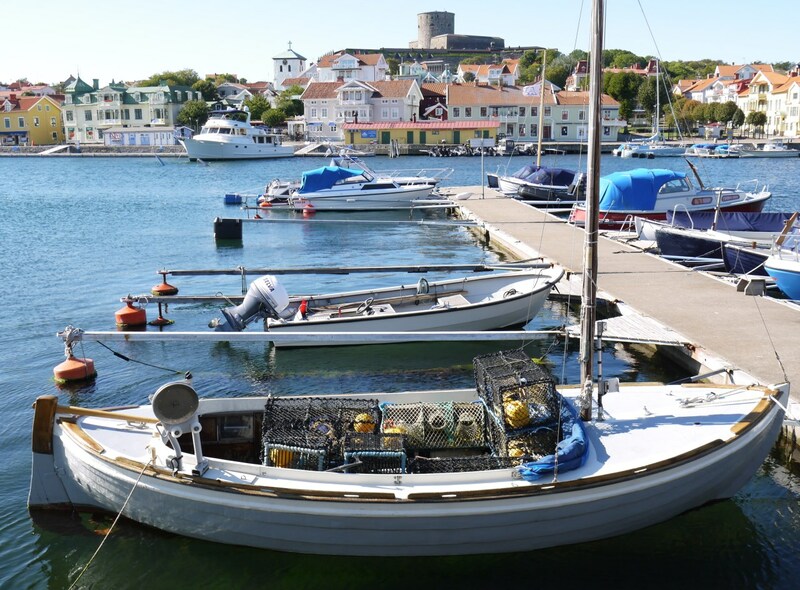 It is possible to drive to Marstrand village, but the island where the fortress stands is only accessible by ferry. Part of the village, hotels and restaurants are located on the island. The fortress web page provides information on the hours when it is open. 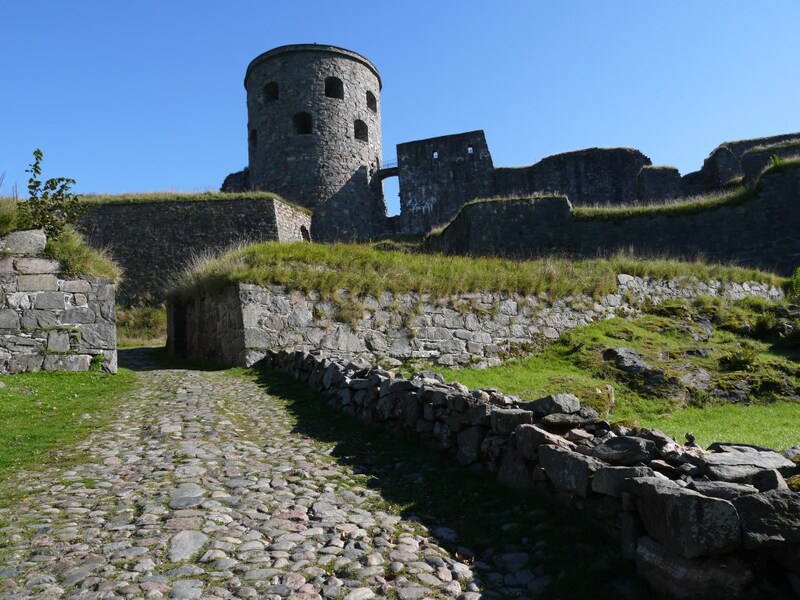 Bohus Fästning is a fortress where many battles have been won and lost during its 700-year existence. It is located on a hill in the Göta river valley at a point where the river splits into two separate streams. Bohus is 20 kilometers / 12 miles north from Gothenburg. Visitors have to walk up to the top of the hill to explore the fortress, but the exercise is worth every step. The views to the valley where the river flows are magnificent. During the Medieval times, Swedes, Norwegians and Danes used to fight over the region, and the fortress changed hands (from Norway to Sweden to Denmark and back again) many times during a period of 500 years. The fortress web page has information on hours when it is open. Apple iBooks – layout designed for the iPad. 2018-05-14 by Klaava in Sweden. Tags book, Göteborg, Gothenburg, guide, guidebook, travel, West Coast. The annual Gothenburg Book Fair was organized for the 30th time in 2014. Originally an event for library professionals, ithas grown into a large international show that attracts book industry members from Nordic and Baltic countries, as well as from many other European countries. Best-seller author Jan Guillou knows how to speak and audiences follow. Guillou in front of red wall, facing a large crowd. Digitala Torget was a new area at Gothenburg Book Fair 2014. Ebook publishers, software developers, device manufacturers and service providers displayed their goods. One of Sweden’s major newspapers Dagens Nyheter collected large crowds to the interview sessions. Hälsingland, a town in northern Sweden, is a Unesco world heritage site. They had a miniature house, an exact replicant of an original local building, at their booth. 2014-10-01 by Klaava in Sweden. Tags book fair, book show, Göteborg, Gothenburg.